PT Industri Nabati Lestari - PT INL is newly established company in Indonesia, running business in palm oil derivates industry. PT INL operates primarily as producers of crude palm oil (CPO). PT Industri Nabati Lestari is a strategic subsidiary company of PT Perkebunan Nusantara III (Persero) or PTPN 3 Group, a leading state-owned plantation and agribusiness holding company in Indonesia based in Medan North Sumatera. According to PT Perkebunan Nusantara III (Persero) Annual Report 2015, PT Industri Nabati Lestari is 99.99% owned by PTPN 3 Group. 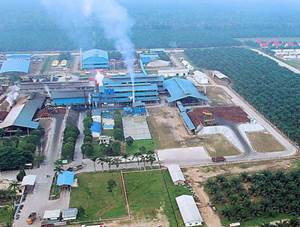 PT Industri Nabati Lestari is based in Sei Mangkei Simalungun North Sumatera and its production facility with a capacity of 600 tonnes of palm oil or crude palm oil (CPO) per year is under development stage. Bachelor Degree (S1), majoring in Mechanical Engineering. Computer literate at least MS Office and AutoCAD, preferably expertise with mechanical engineering application program. Minimum 2 years of experience in plant project or operational / maintenance. Bachelor Degree (S1), majoring in Electro Engineering. Computer literate at least MS Office and AutoCAD, preferably expertise with electrial engineering application program. Minimum 2 years of experience in plant project or operational / maintenance. Expertise with PLC is preferred. Bachelor Degree (S1), majoring in Law, Psychology, Social Political Science. Minimum 2 years of experience in the field of Human Resources (HR) and public relation. Bachelor Degree (S1), majoring in Economics, preferably from Accounting. Computer literate at least MS Office, preferably expertise with financial application program. Minimum 2 years of experience in the field of finance administration, accounting and taxation. JobsCDC.com now available on android device. Download now on Google Play here. Please be aware of recruitment fraud. The entire stage of this selection process is free of charge. PT Industri Nabati Lestari - Recruitment S1 Staff, Co Engineer PTPN 3 Group October 2016 will never ask for fees or upfront payments for any purposes during the recruitment process such as transportation and accommodation.